A husband and wife team have opened a new clean-eating restaurant in Seaham. Paul and Linda Barron, who are adventurers at heart, launched Clean Bean restaurant after being inspired from their travels around the world. The duo took inspiration from places they visited including Indonesia, Tasmania, Nepal and the US among others to create a restaurant for people who value the concept of clean-eating and to dispel the misconception that healthy food is bland and boring. “On our travels we were blown away by the amount of choice people had to keep up a healthy lifestyle,” said Linda, “and we believe that bringing our new concept to Seaham will offer something different and complement the amazing food offerings we already have in the town. “We believe that natural, versatile and balanced foods will strengthen the body and will contribute to people’s well-being. “Our menu includes only fresh and high-quality ingredients – sourced from local suppliers, where possible – without the unnecessary flavour enhancers, preservatives, refined sugars and other chemicals. To launch the business, Linda – who previously worked in recruitment – sought start-up advice from the North East Business and Innovation Centre (BIC) in Sunderland and was supported through the New Enterprise Allowance, a national government initiative. She added: “When working in recruitment I always supported other people with their dreams and now it’s time to fulfil our dreams of going self-employed. “We have the passion and know there is currently a trend in people wanting to be fit and healthy, so it was the right time to start the business, but we needed help with starting up. Paul said: “We were delighted to work closely with BIC Business Adviser, Margaret Cook, who helped us write a business plan and signposted us to funding. “Margaret also shared her experiences of seeing what businesses have done well and what they haven’t done well during the start-up stage. 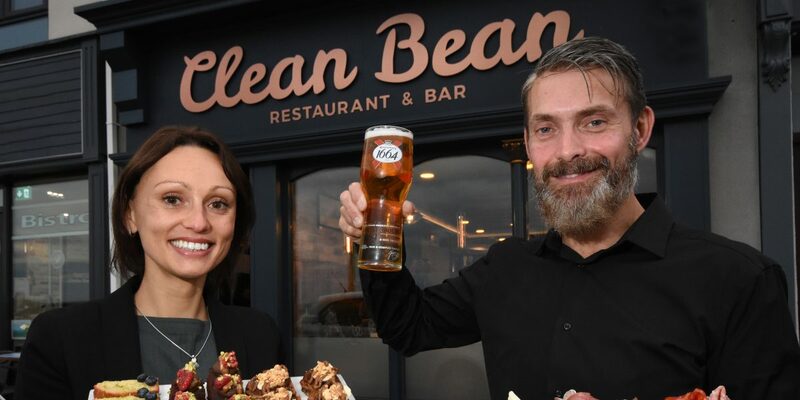 Clean Bean can be found on Seaham’s North Terrace and the company is currently recruiting for various roles in the restaurant.